I have a "nook" in our bedroom where I put my vanity (stool is missing - currently needs reupholstered, so I don't use it) and store my makeup. The left drawer holds my face products, pencils, mascara, lipgloss, lipstick, and random tools. 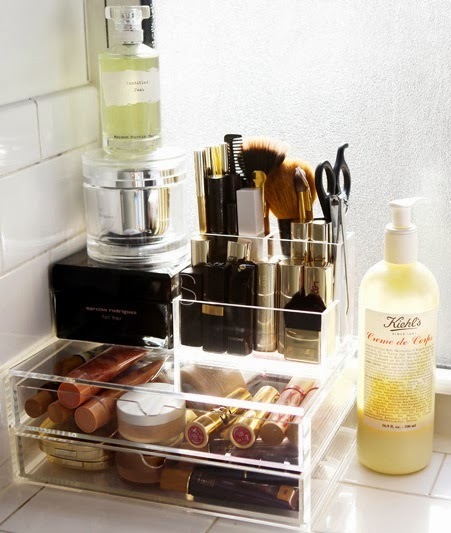 The right drawer houses all my pigments, eyeshadows, palettes, and false eyelashes. 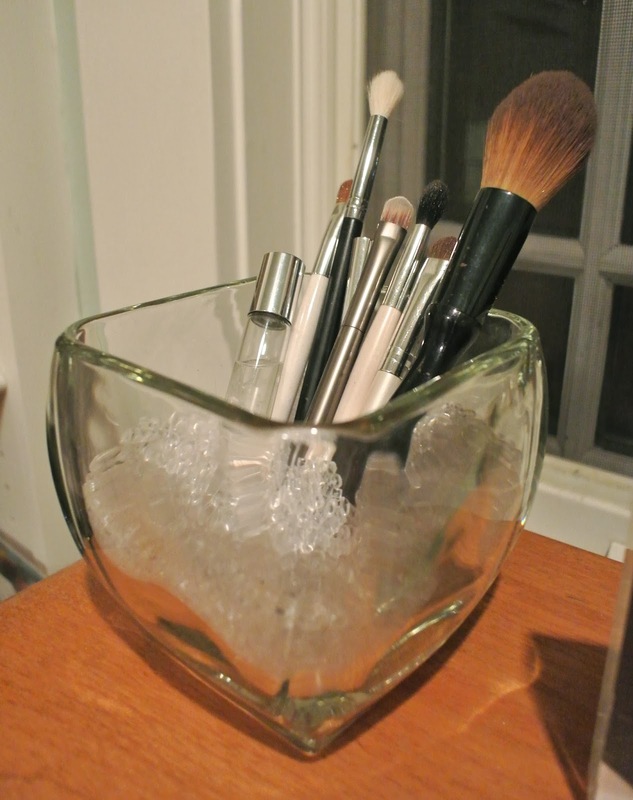 And I keep my brushes in a glass jar on top of the vanity. Random shot of my little winter socks - haha :) aren't they adorable? But this isn't how I want to keep it. I could really use the 2 extra drawers for clothing storage as my other dresser is way too full...so I've been thinking of what I would like to do and looking for inspiration. 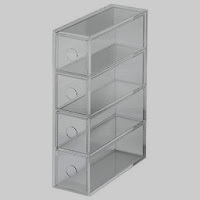 I love Muji acrylic organizers, and one day I am actually going to take the time to pick some out and order them ;) I don't want too many, because then things can start to look cluttered. And since this is going to be out, and visible in my bedroom (until the master bath is finished) - I want it to look as "pretty" as possible! Anyway, I have significantly downsized my collection and would like to probably get one set of drawers (maybe the 3 drawer? or 2 - 2 drawers? 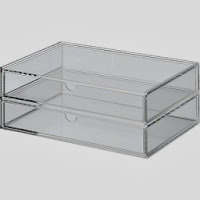 ugh decisions, decisions...) and one of the skinny drawer units (for pencils, mascaras, etc). Anyway...I'll be sure to post lots of pictures one I get it all done!! Your space is already lovely! I love those clear containers though too. I'm trying to figure out how to store mine as well, I like the containers to organize in! I just would be worried about it looking cluttered, I hate clutter! 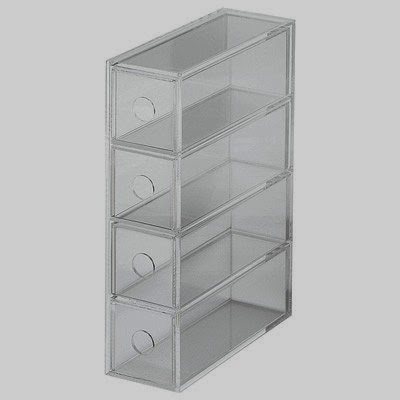 Those acrylic boxes are amazing. We don't have the counterspace in our bathroom so I have everything in cosmetic bags in drawers with brushes on the counter in a mason jar. Not ideal! are those bare minerals eye shadows?! i would be forever jealous. actually, i'd be jealous either way - your makeup collection looks fabulous.